It has been a busy week with the Samoa Observer continuing to publish details of the Ministry of Finance and Audit Office’s various reports into the financial affairs of various Government agencies. Most of the reports are from the 2016-2017 financial years with some of them also making reference to the previous one to two years, due to the carrying over of various financial transactions into the new financial year. The beauty of these annual reports – which have to be submitted to the Parliament and its different committees for their deliberations – is that it is confirmation that the institutions charged with the responsibility to keep Samoa’s Government accountable and transparent is very much alive. In fact Samoa’s Audit Office created a record of some sort in the region recently, when it submitted the Irregularity and the Audit Report for the Government for the financial year ending June, 2017. That means the Audit Office of Samoa is now up to date in all its reports on the Government’s use of public funding up to the last financial year. Very few Audit Offices in the Pacific Islands (outside Australia and New Zealand) have made that achievement, hence you can be assured that the guardians of public funding in other Pacific Island states – auditors and auditor generals – would be envious of the work of the Controller and Chief Auditor, Fuimaono Camillo Afele and his team. The auditing of State-owned agencies and Government Ministers has also led to the furnishing of annual reports by various entities. They include the Public Service Commission, Ministry of Justice and Courts Administration, Office of the Regulator, Scientific Research Organisation of Samoa, National University of Samoa, Samoa National Health Services, Ministry of Education Sports and Culture, Annual Reports of the Ministry of Agriculture and Fisheries, Annual Report of the Samoa Water Authority, Ministry of Agriculture and Fisheries, Ministry for Revenue, and the Samoa Ports Authority amongst others. We have published details from some of these reports in recent weeks and will continue to do so when more information becomes available. 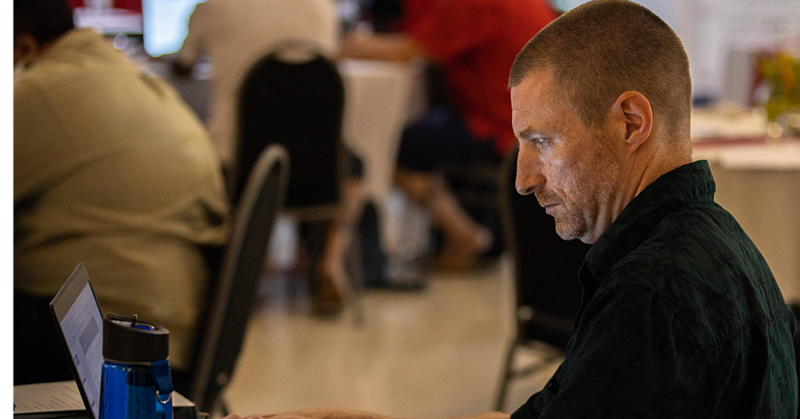 The publishing of these reports lies at the center of the definition of the term “Fourth Estate” and its connection to the three branches of Government: legislature, executive and judiciary. The Fourth Estate invokes the watchdog role of the press and the media, which is considered pivotal to a functioning and thriving democracy. Without the Fourth Estate, a nation cannot fully enjoy the benefits of a democracy and all that it brings. I have no doubt there are staff within the Ministry of Finance and the Audit Office, who heave a sigh of relief and thank the Samoa Observer, for every audit report that gets published. We in the newsroom feel the same way too, because ultimately we know that we in the press provide the platform for your findings to be made public and hopefully it leads to an outcome that is satisfactory to everyone. Yesterday Prime Minister Tuilaepa Dr. Sa’ilele Malielegaoi graced the front page of the Samoa Observer, in a story where he slammed the Minister of Agriculture and Fisheries (M.A.F. ), Lopao’o Natanielu Mua. 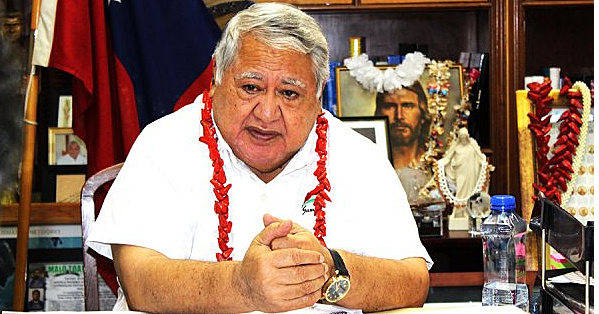 Tuilaepa, in a letter dated 16 October 2018, expressed frustration with the scheduling of the Agriculture and Fisheries Shows. The show scheduled for Wednesday clashed with Cabinet’s weekly meeting. “Cabinet meets on Wednesday every week,” a translation of Tuilaepa’s letter reads. “The Cabinet meeting is a matter of priority. It takes precedence over any meeting or service whether it’s official, personal or church-related. Prime Minister Tuilaepa said senior many Government officials continue to “forget” policies, such as the one related to Cabinet’s weekly meetings. There is no doubt that the Prime Minister – through his letter – has put the Agriculture Minister on notice and we do not blame him for doing it. As the Head of Government, he has the responsibility to keep his Cabinet Ministers on their toes and maintain cabinet solidarity. It does not look good when a ministerial event clashes with a scheduled weekly Cabinet Meeting, as some can interpret it as a fracture in cabinet solidarity. Perhaps now that the Prime Minister has got all his Ministers on their toes, he might want to crack the same whip on another sticky issue that continues to hang over his administration – the private company shareholding of Ministers and Associate Ministers. Again, Samoa could be setting new anti-corruption benchmarks in the Pacific Islands, if it legislates to force politicians to divest their shares before taking on cabinet positions. There is nothing stopping you going down that path Mr. Prime Minister, as after all it will be the people of Samoa who will again benefit from this. It has been a busy week and now that Saturday is upon us, take a breather with family and friends and have a blessed weekend Samoa.